Create beautiful quilts with these unique and easy-to use templates using the Complete Sew Inspired Design System which is available in 6″ and 9″ blocks. Now you can learn to piece curved quilt blocks precisely and easily with the innovative Sew Inspired Design System™ and Sew Inspired Pinless E-Z Curve Piecing Method™ which makes the blocks a pleasure to cut and sew for all levels of quilters. 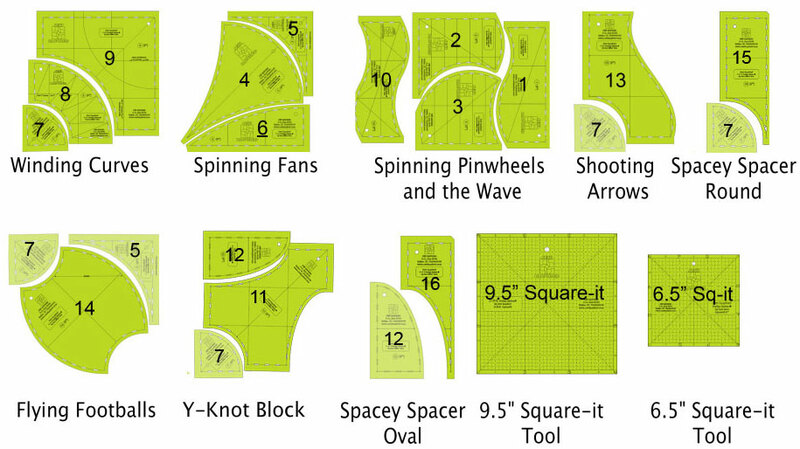 The system includes 16 template set that create the following blocks; Winding Curves (7,8,9), Spinning Pinwheels (1,2,3), Spinning Fans (4,5,6), The Y Knots Block (7,11,12) and The Shooting Arrows (7,13), The Flying Football (5,7,14), The Spacey Spacers: Oval and Round (7,12,15,16 )and Sew Inspired Square-It Tool (9,6,3). 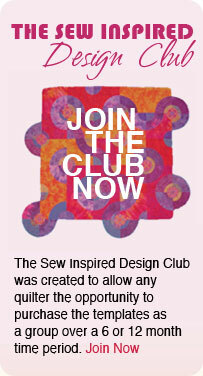 You can view all of the Sew Inspired Design System Products available for purchase bon the Products page or Join the Sew Inspired Design Club™ for a variety of ways to purchase the templates as a group over a 6 or 12 month time period.